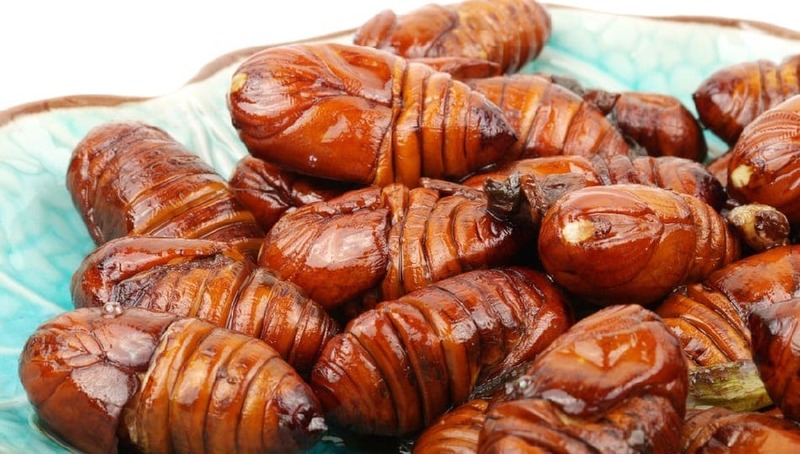 Beondegi, boiled silkworms, is a popular snack in Korea. They are served warm in a giant pot and soaked in boiling water, where the vendor will spoon a handful of them into a cup for you. It’s only $3 for a healthy-sized portion that’s definitely enough to make you feel nauseous.